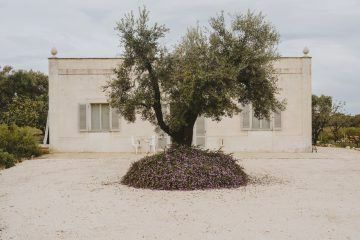 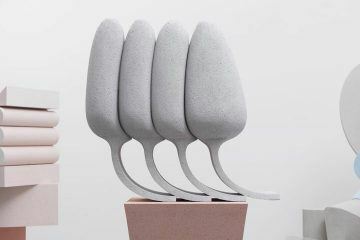 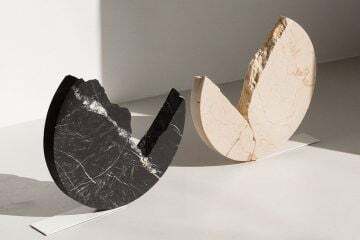 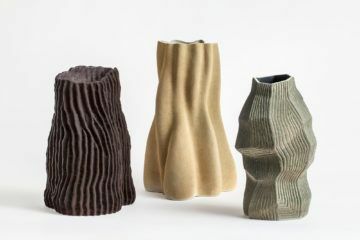 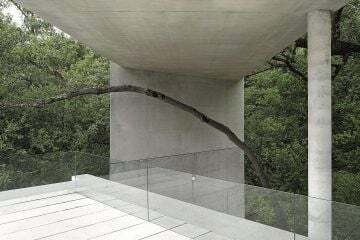 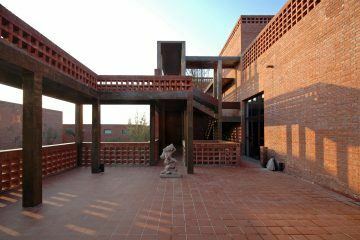 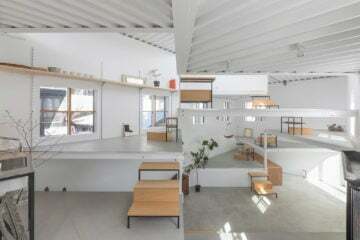 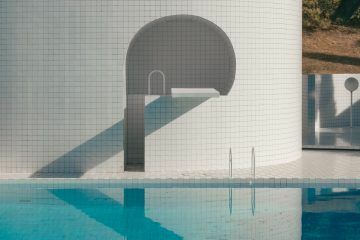 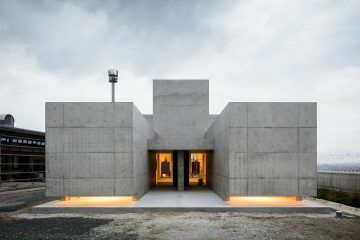 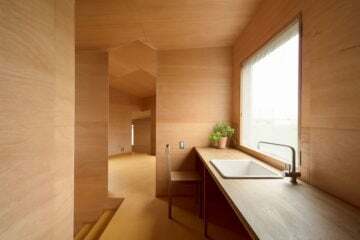 Taketo Shimohigoshi’s architecture firm, A.A.E. 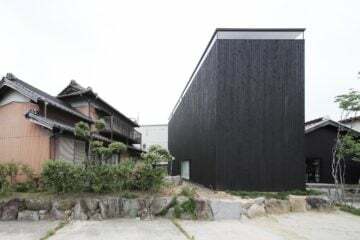 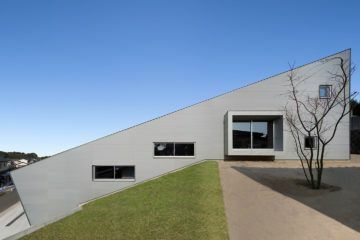 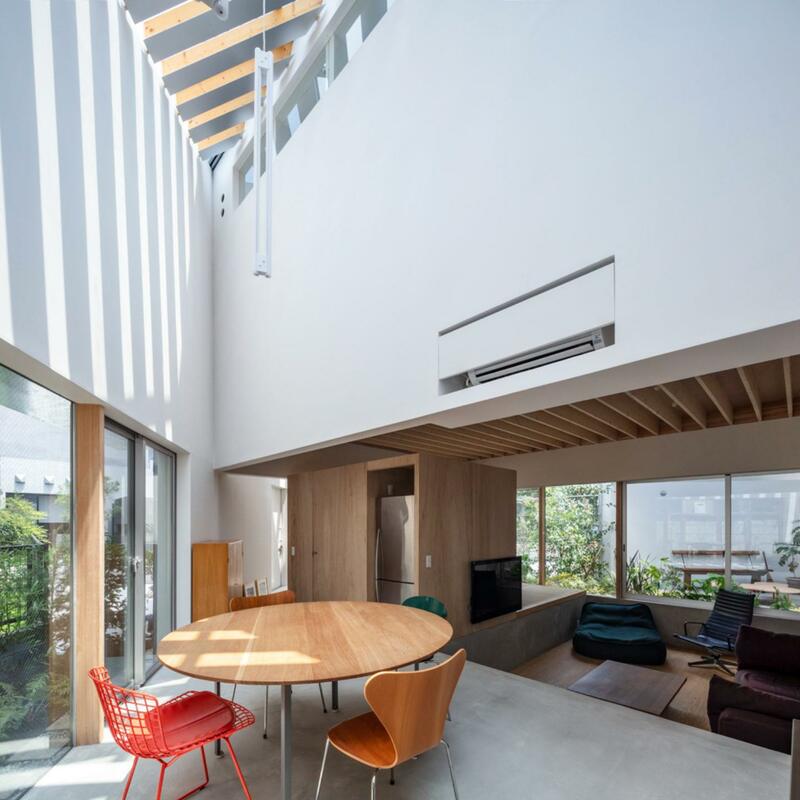 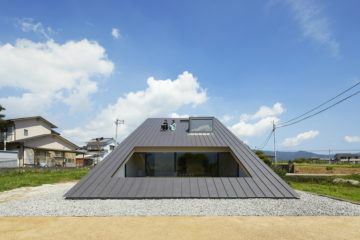 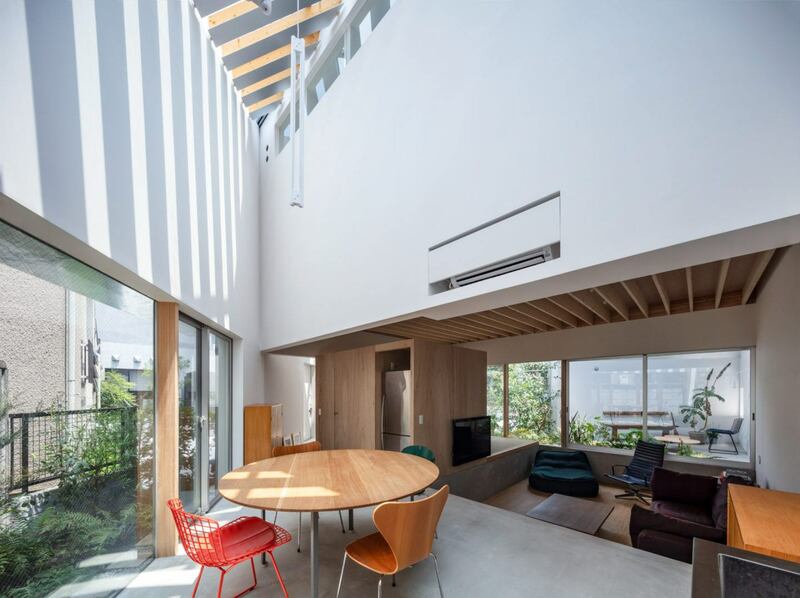 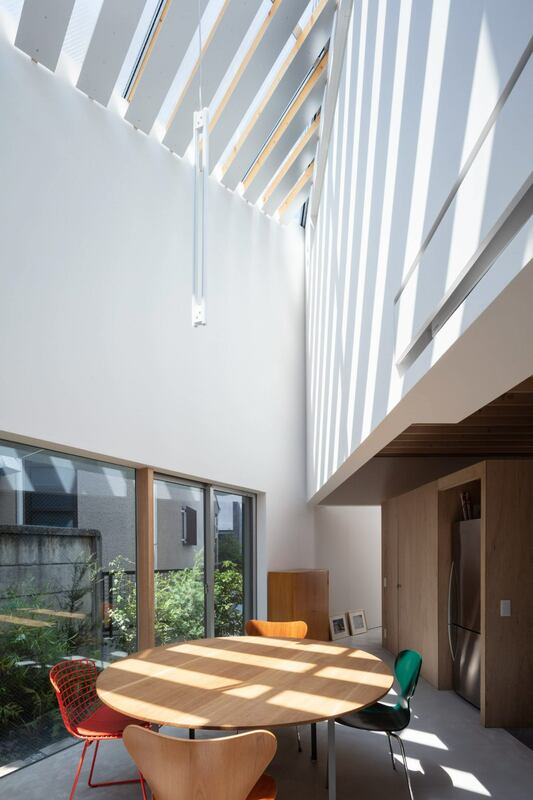 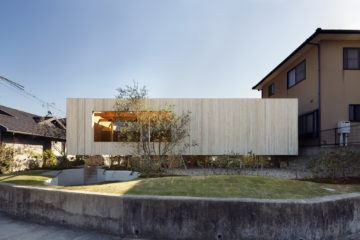 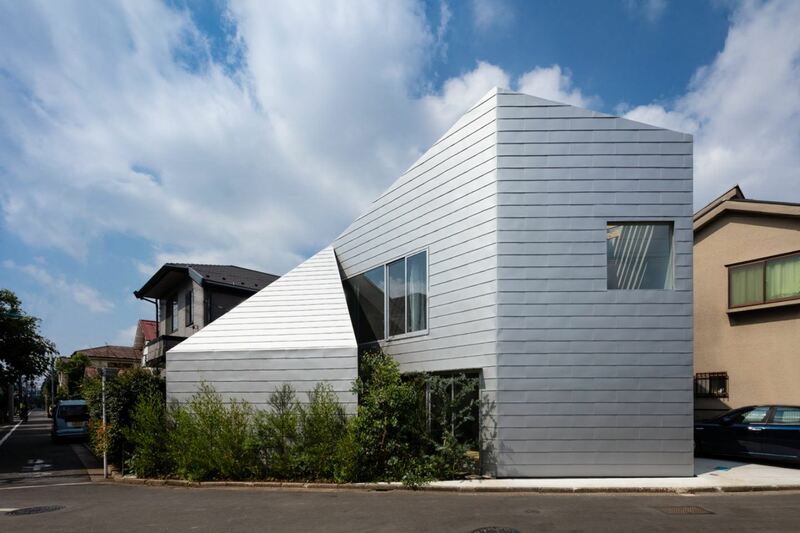 has designed the ‘K2 House’, a home that takes an interesting plot shape and turns it to the residents’ advantage in Tokyo, Japan. 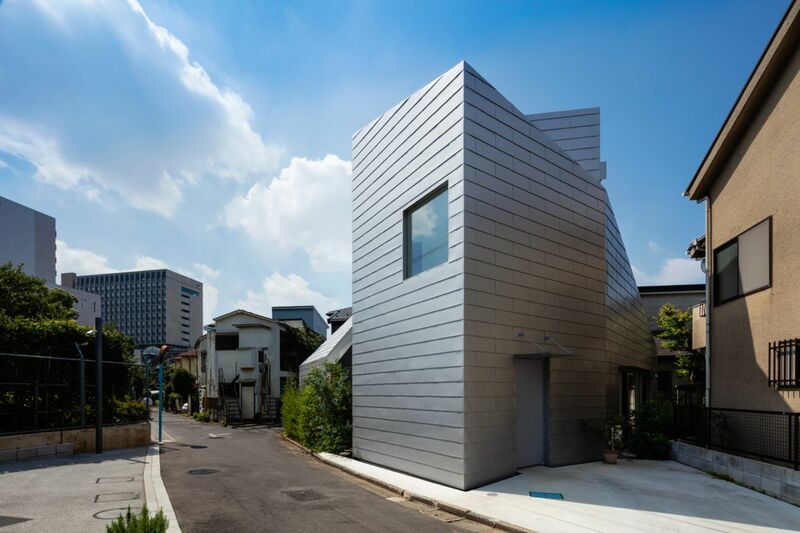 This two-volume house is clad in galvanized metal paneling, its asymmetrical facade and glistening exterior make it an eye-catching addition to the suburban neighborhood it is situated in. 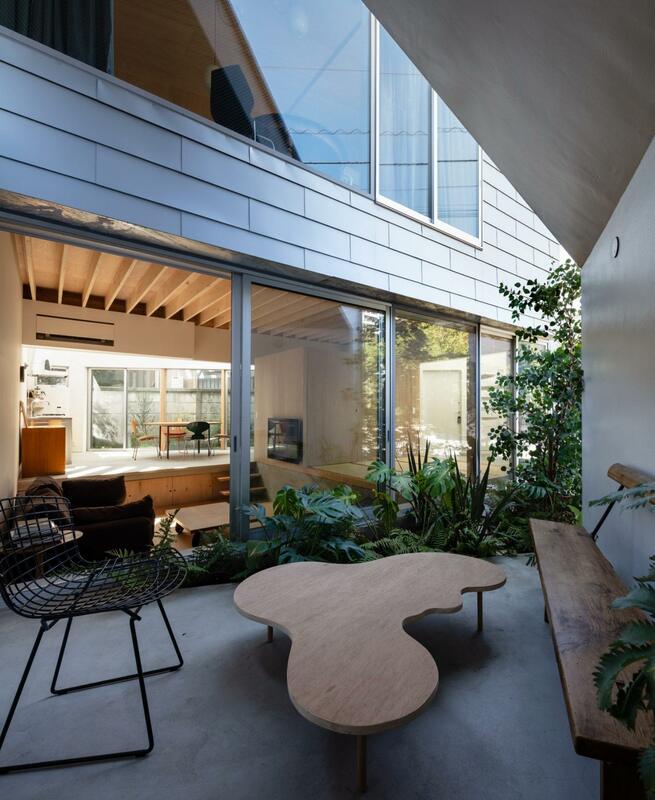 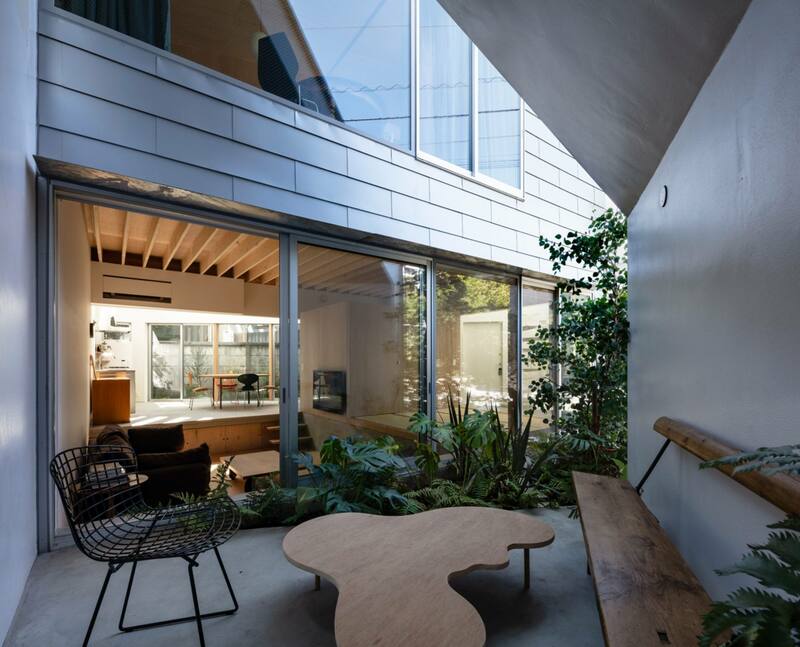 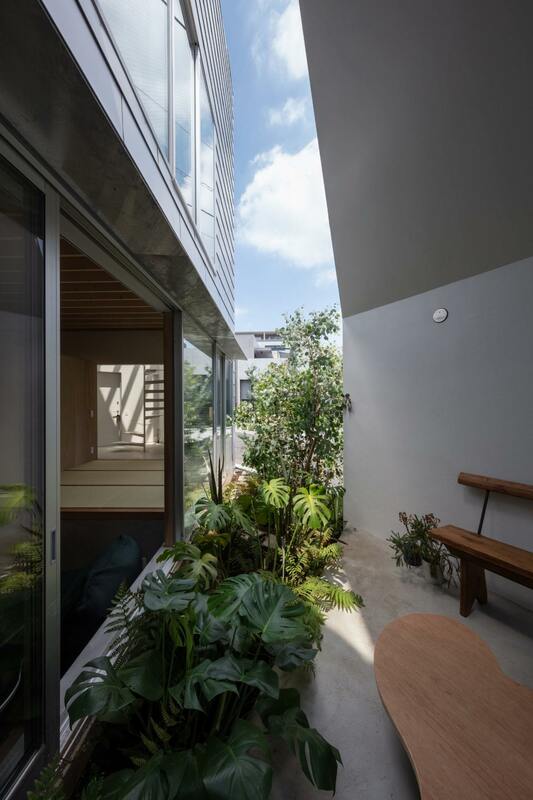 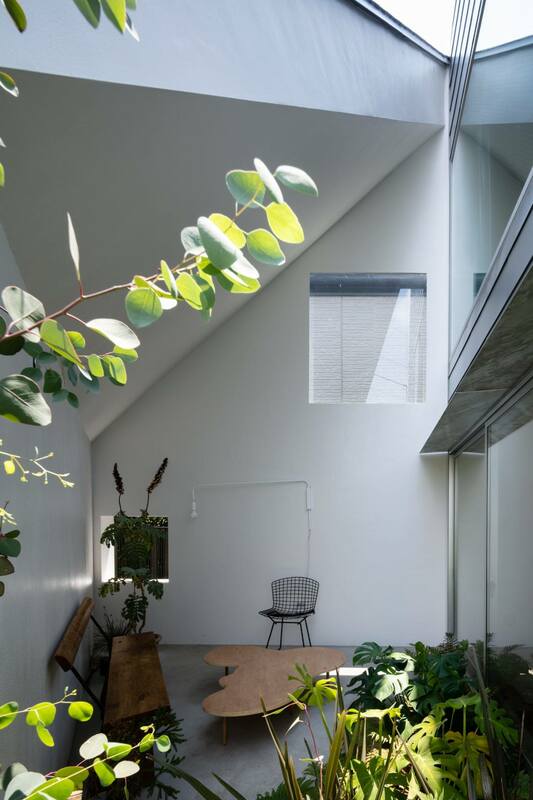 The space between the two parts of the home expands at the center to create a private interior courtyard, flooding the living space of the home with natural light whilst allowing for privacy from the road. 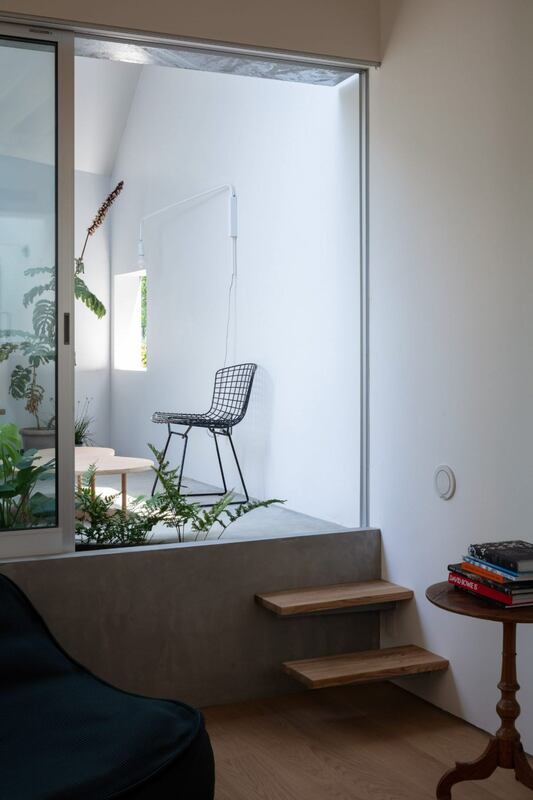 In this courtyard, a raised platform acts as a second sitting room, its concrete mass offset by a vibrant patch of green—monsteras, ferns and eucalyptus form a verdant triangle that is overlooked by the ground floor. 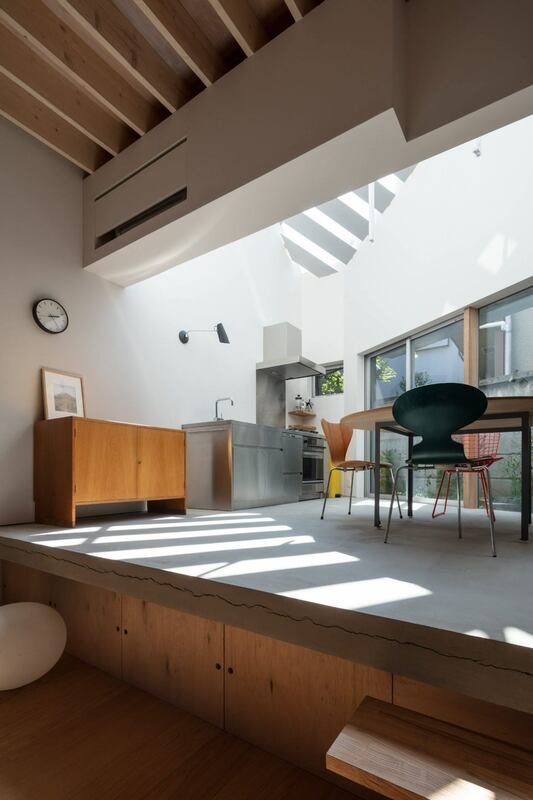 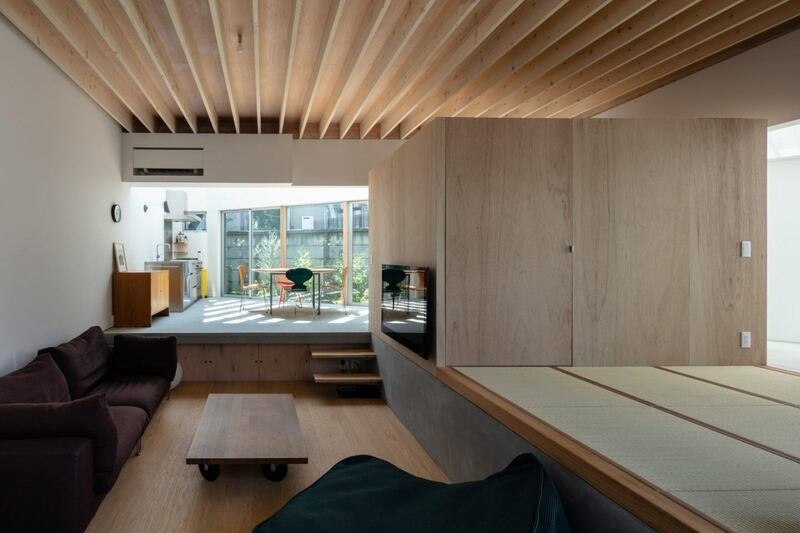 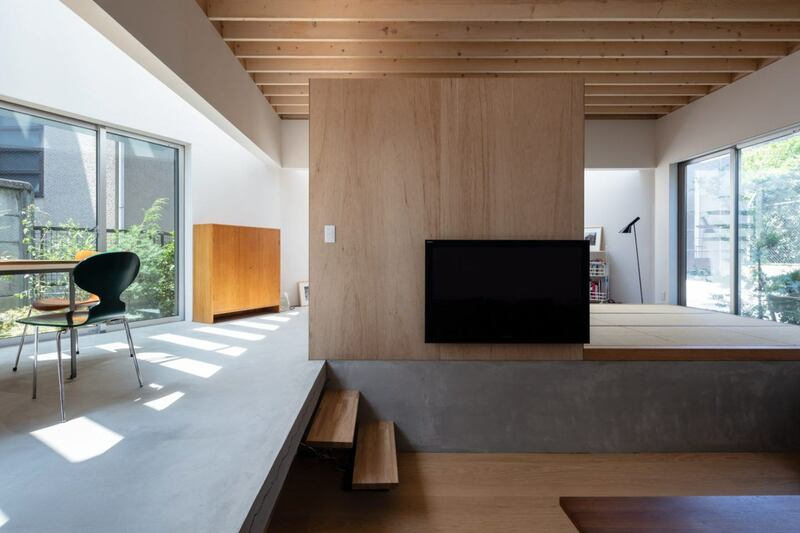 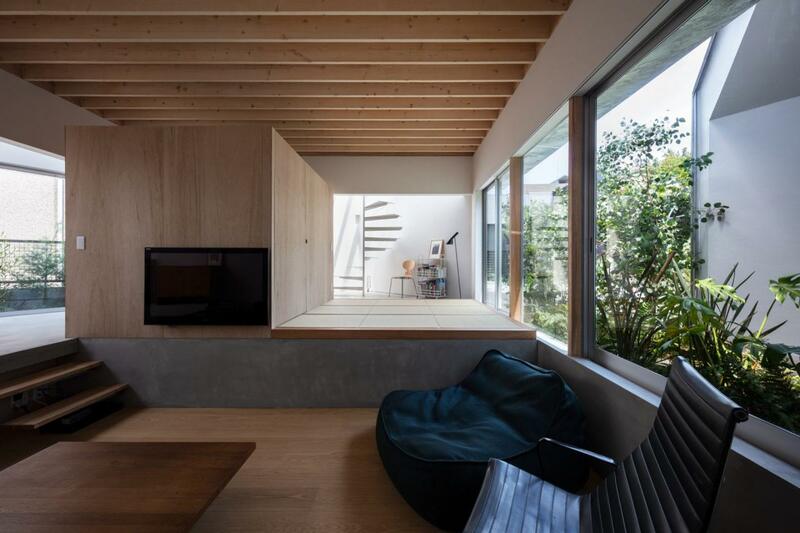 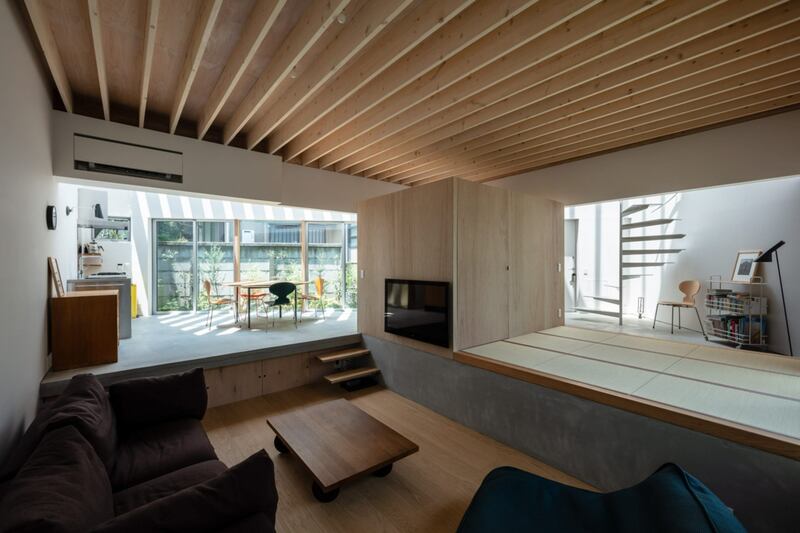 This open plan living area features a sunken lounge room, flanked on one side by the dining and kitchen area, and on the other by a tatami space. 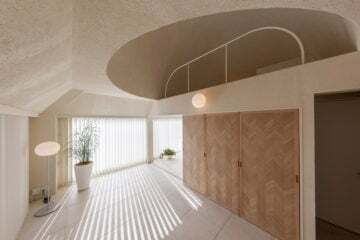 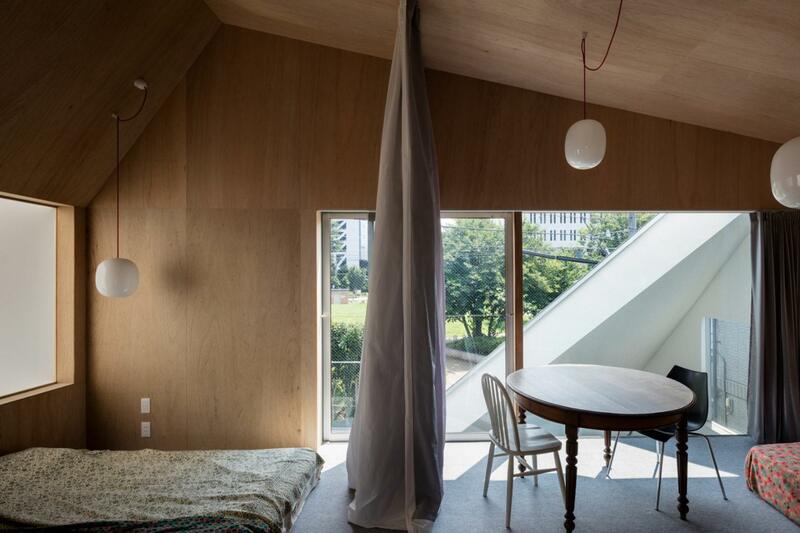 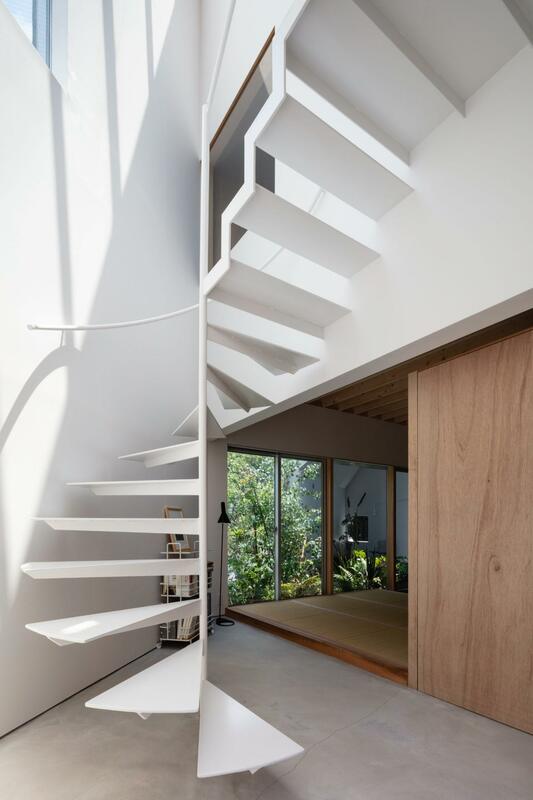 A white metal spiral staircase leads to the upper floor which houses the bedroom, bathroom and a second sitting area all with views across Tokyo.